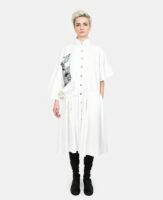 This Ioana Ciolacu printed shirt dress features asymmetrical dropped broad sleeves, monochrome flower details print, side waist ruffle details, front button fastening and adjustable belt. 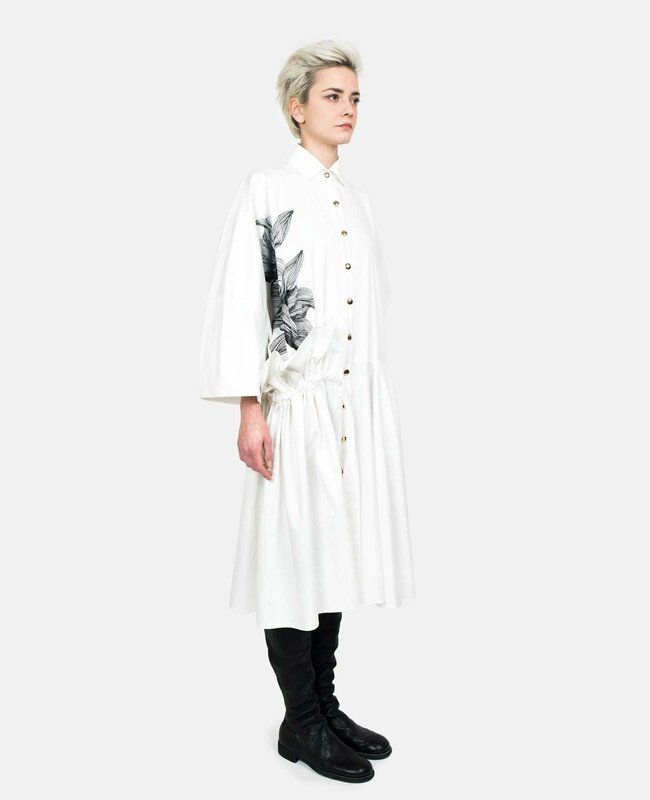 Model measures 175 cm tall, 82 cm bust, 60 cm waist and 90 cm hips. She is wearing a size XS.